OSU is pleased to announce that Mike Toshack, recognized as one of North America’s foremost and experienced goalkeeper coaches, has agreed to lead our Goalkeeper Academy within the OSU Force Academy. Coach Toshack, has guided some of MLS’s and NCAA’s best known goalkeepers and brings over two decades of professional, collegiate and international experience to our program. Mike Toshack’s tremendous track record of tutoring goalkeepers at all levels around the world has seen him working with five professional clubs over his career as well as serving as Goalkeeper coach for the U20 and U23 Canadian Men’s National teams. Toshack has won titles at every level, including two MLS Soccer Championships ( 2015 Portland Timbers, 2007 Houston Dynamo ) , one USL championship ( 2006 Vancouver Whitecaps ), and one NCAA championship with Saint Lawrence University. 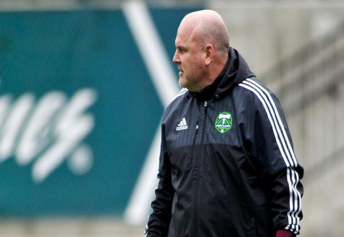 In particular, he has spent the last decade working with MLS Clubs such as Vancouver Whitecaps, Houston Dynamo, Toronto FC and Portland Timbers. During his time in these environments he had the opportunity to prepare and coach against the world’s best clubs – such as Bayern Munich and Real Madrid. All of this said, we know that he will help elevate and expose our club goalkeepers to another level of performance. Having grown up in Eastern Ontario, Coach Toshack returned close to Ottawa when the opportunity to coach St Lawrence University (Canton, NY) presented itself two years ago. Given their close proximity, working with Ottawa’s elite club, OSU made a lot of sense. “Connecting with OSU Force Academy is an exciting opportunity for me to enter into the youth side of the game. I was immediately impressed with the work going on within their program and the aspirations of the club and its players” Coach Toshack reflected on his new role. Paul Harris, OSU’s Technical Director added that “Mike will bring a whole new level of proven goalkeeping experience and knowledge which has not been previously present in the Ottawa area. It will give a unique and special opportunity for aspiring goalkeepers to maximize their potential”. Mike Toshack will lead an already impressive, and growing group of goalkeeper coaches within OSU. We are fortunate enough to have Les Escobar, Jasmine Phillips, Erhan Yilmaz and Aaron Falsetto also working with our goalkeepers on a weekly basis. Ottawa South United (OSU) is a soccer club based in Canada’s capital, Ottawa. With some 6800 members, it is one of the largest, as well as most successful clubs in Ontario and Canada.